Allen should be cleared sometime this week to practice and is still listed as the starter at QB on the weekly depth chart. He very well may be a game time decision to start against the Bulldogs. His injury is to his throwing shoulder (AC joint) but the belief is there is no structural damage. 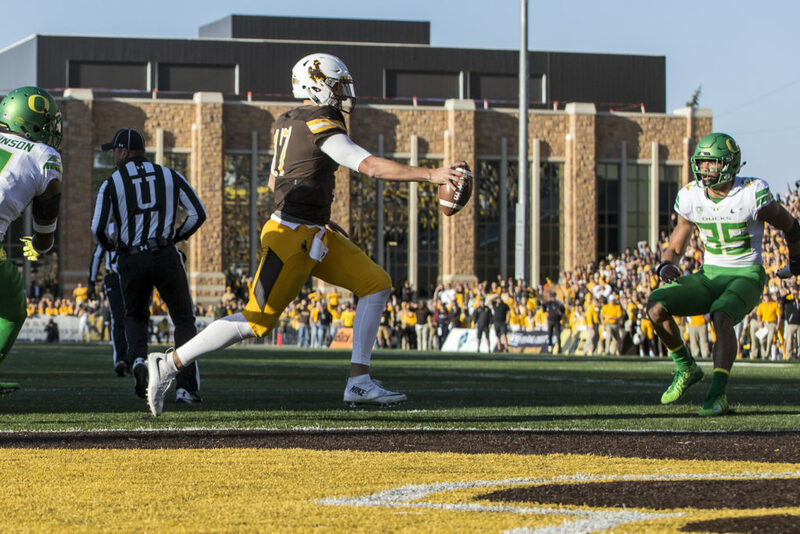 Craig Bohl will start the QB that gives Wyoming the best chance to win on Saturday. Overall this is good news for the Wyoming football team. If I were a betting man I would bet on Allen getting the start on Saturday and playing as long as he can be effective throwing the football. We will see what types of updates we get from practice throughout the week but I wouldn’t expect to hear much from Bohl and his coaching staff. Their goal will be to keep Fresno State in the dark through gamesmanship, so the Bulldogs have to prepare for both Josh Allen and Nick Smith at quarterback.